New wood product from us that use a new combination between the shapes and its color. 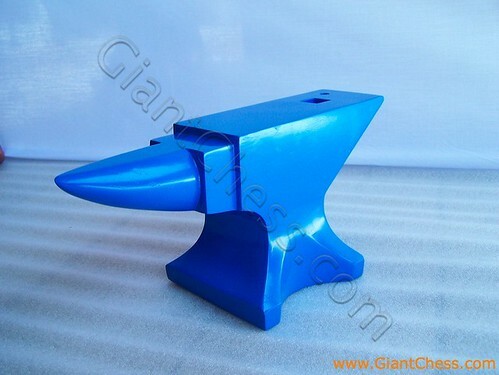 The blue Anvil Ambos may become interesting decor for your house. Anvil Ambos that often related with ancient tools, now has change into modern house decor. Paint in light blue and another color that looks colorful but beautiful yet. Here we have wooden Anvil Amboss in blue polish. Some people order it for house decor use. They put it on living room table, in library, in office room, children room and other rooms which need beautiful wooden product touch. The Anvil Ambos above has made from best quality Teak wood and carved by expert craftsman. Very durable product for indoor and outdoor use because it has made from the strongest wood. Have it now and get also in another colors.